Pow pow. It'd been a left/right combo. On the first day, I got a press release for the Canadian Finalé Niagara; on the very next day, it was the Latvian DIMD PP-10 Stereo's day 'n' say. 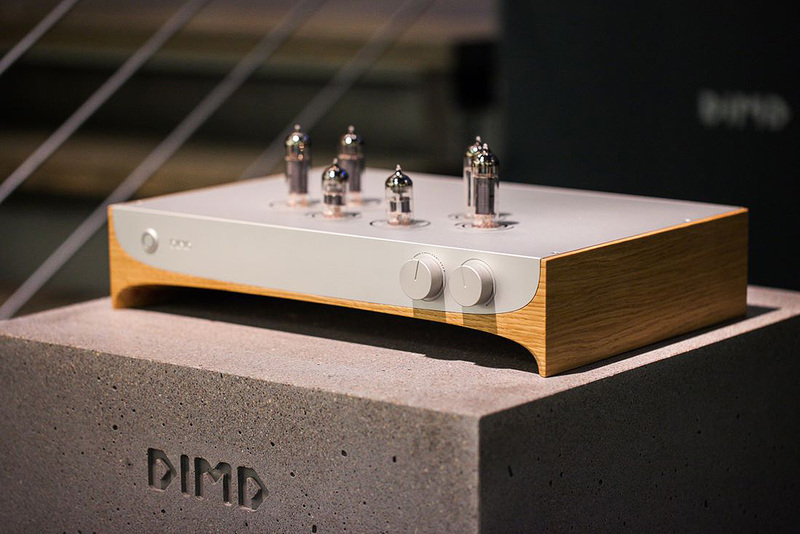 The first was announced as "a 10wpc push/pull 6BM8/ECL82 design with an automatic differential feedback system and optional phono stage encased in a chromed case with Hammonds transformers and acrylic faceplate [€4'000]." The second is described as a "€3'250 class AB push/pull tube integrated whose quartet of EL84 is driven by a pair of ECC83 for 10wpc. There are four RCA input pairs. Input impedance is 100K, input sensitivity is 420mV. Dynamic range is rated at 90dB, output impedance is 2.8 ohms and global negative feedback is 6dB. The amp measures 43 x 16 x 28cm and weighs 9kg. Its circuitry is hand-wired point to point with polypropylene coupling caps, 1% tolerance metal film resistors, an Alps pot, silver-plated connectors and a solid oak casing." Something was in the crisp November air about 10-watt valve integrateds with small pentodes. The EL84 is an underrated petite power tube which on linearity and bandwidth will give exotic 300B more than a run for their upscale money. It's inexpensive and easily sourced because it makes major cameo appearances in guitar amplifier movies to be supported by various current production plants. Actually, the cameos are in hifi. 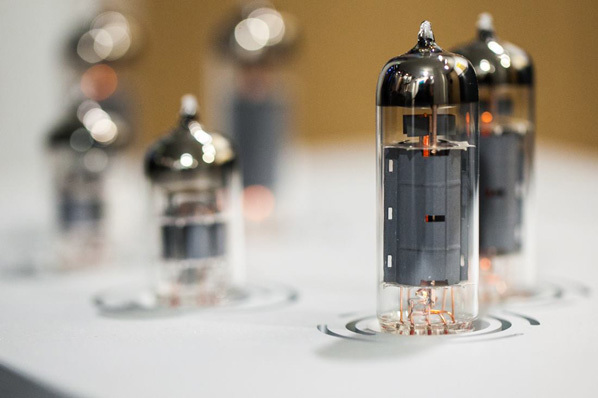 The musical instruments market is far larger than the small holdout of vacuum tube aficionados amongst home users. So who are DIMD? Surely no acronym for dimmed which would neither befit its glow bottles nor the ambitions of its maker. The Latvian folk song Rīga dimd by Jānis Cimze tells us that it means "it resounds". One thinks of Stefan Kudelski of Poland who named his company Nagra - "it records". What could be clearer? Ditto for the model name. It gives mode of operation (push/pull), output power (10wpc) and stereo (for not mono). Who needs a brochure? The website explains that this amp's creator is one Edgards Spārniņš, PhD. in Physics from Riga, whose wife Marta plays violin and always listened to headphones rather than their resident hifi. When he learnt why—she didn't like the sound of the big system—he decided to do something about it. 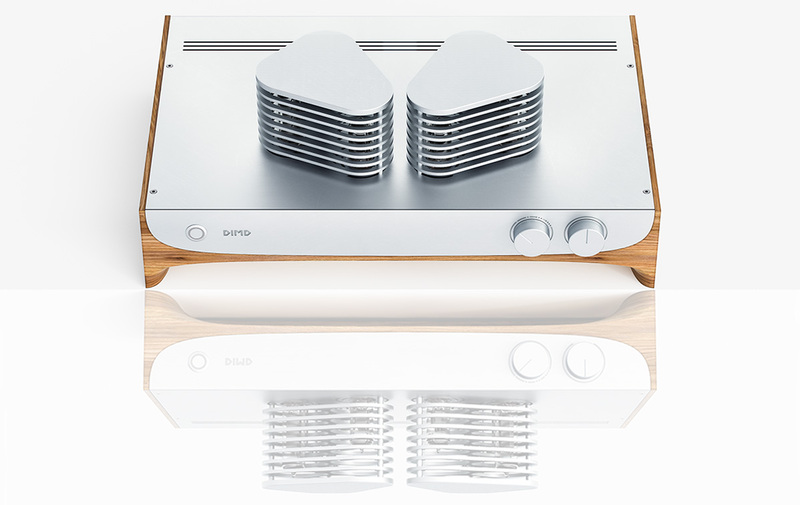 When that attempt got her attention, he spent another two years refining his circuit whilst working as a scientist in Switzerland's Lausanne before turning to Gusts Rutkis, art director for McCann-Erickson, for the industrial design. 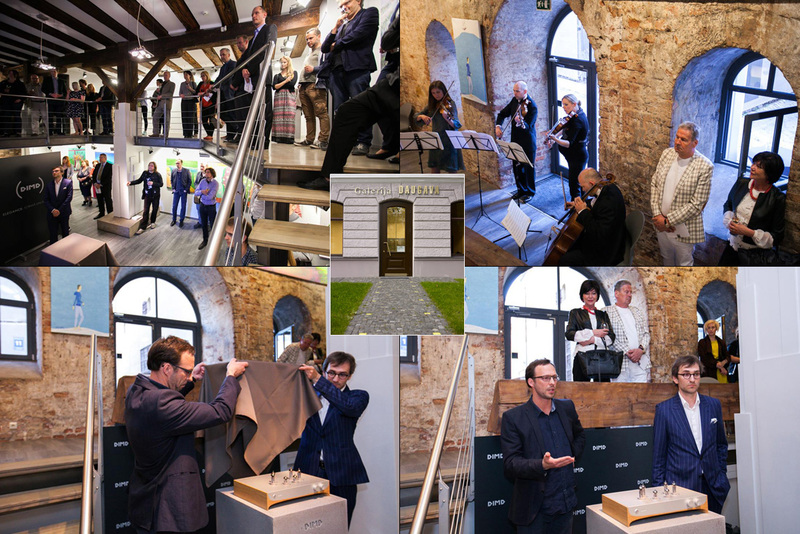 With such parentage, it's no surprise that the amp had its global unveiling in the Galerija Daugava accompanied by string quartet rather than at a typical hifi show. If I can play the winged Sphinx for a moment, riddle me this: who needs one more transformers-on-deck valve amp that screams mid 20th century louder than it'll ever go without distortion? Of course hiding the tubes as well would be silly. They run hot and hot air rises. You'd not want to trap that inside a chassis, mar it with a gutter grid for ventilation or add a fan. But unsightly transformers certainly needn't be visible. And with tubes so very clearly 'on' when they're on, who wants bright idiot lights? With convenient auto bias, who wants to futz with meters and trim pots? Certainly a case can be made for anything. Our Latvian designers simply make their case for very contemporary understated clean looks. And what an attractive case it is. Look ma, no audiophile pointy or squishy footers. At 9 kilograms, it also won't slip your discs. Even the 1.6A and 500mA fuses are externally accessible from the rear. Relief in triplicate! On Brussels compliance—those thoughtful EU-regulatory chaps who, not trusting our intelligence, must protect us from ourselves—the Latvians came up with a way to have cake and eat cake. Unlike fugly utilitarian tube cages, theirs do the business and look swish. Should you be intelligent enough to pick this amp in the first place, make enough money to afford it and not touch the tubes with your fingers to burn them... you can remove the cages. Latvia having joined the EU in 2004 clearly didn't tie up our designers' artistry in red tape. Lest you think that it's all about artsy but no tech, DIMD offer a 5-year warranty, tightly matched tubes and these performance graphs.